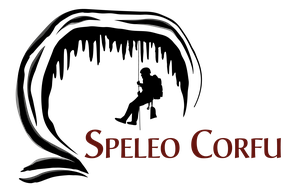 SPELEO TOURS - Website about caves on the island Corfu. Speleo Corfu is familiair with the caves on the island and offers caving options with eye for the natural surroundings. During the speleo tours we show you the flora and fauna in and around the cave. Beautiful pictures guaranteed! The speleo tours are technically not difficult and suitable even for beginners. You willl need to bring a pair of sports or trekking shoes and clothes that can get little dirty from the limestone mud. Also be aware that in most caves the temperature can be around 17 degrees. Speleo tours can be organised all over the island and throughout the year! You can be picked up at any hotel, apartment or meeting point.